Posted on September 4, 2015 September 6, 2015 by Marty Schoenleber, Jr.
It’s not a biography. It’s not a novel. It is partly both. It’s a series of imagined conversations that Bonhoeffer could have had, based on his books, and papers, sermons, and interviews with those who knew him written by a writer who respects and wants to honor his legacy. That is exactly the kind of thing you will read in Bonhoeffer. You will read it in The Cost of Discipleship. You will read it in Letters and Papers from Prison. 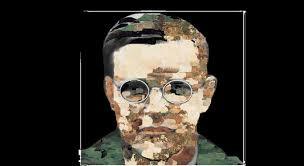 You will read it The Collected Sermons of Bonhoeffer. You will read it in Ethics. You will read it perhaps most clearly in Life Together. It is the kind of thing that saturates his thought—obedience to the commands of Christ is the only way not to cheapen the grace of Christ. The changing cultural climate, the demise of the Judeo-Christian consensus, an unhindged Supreme Court, the rise of authoritarian political correctness,—all of these are going to continually put pressure on Christians to obey the commands of Christ which clash with cultural perceptions and prejudices. But here’s what Jesus continues to say. And here’s what Dietrich Bonhoeffer knew all too well. He who has my commandments and keeps them, he it is who loves Me, and he who loves Me shall be loved by My Father, and I will love him and will disclose Myself to Him. George Müller Did Not Have the Gift of Faith! What?